A platform is a shoe with a very thick sole. Contrary to popular belief, the heel of a shoe has nothing to do with whether or not it's a platform: it's the thickness of the sole underneath the toe box that determines whether or not a shoe is a platform. The thick sole doesn't have to cover the entire length of the shoe. 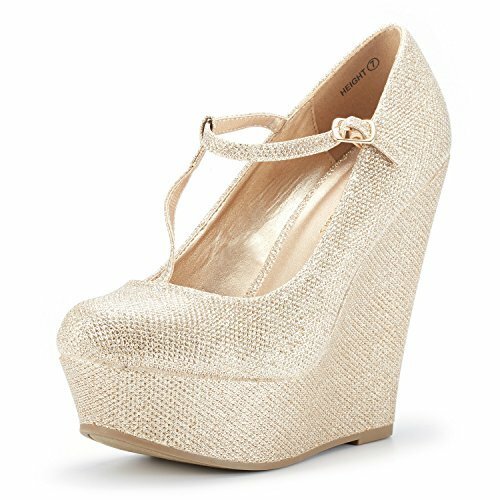 While many platforms often take on this shape, the platform style can have a variety of heel types, including wedges, stilettos and stacked heels. A thick platform underneath the toe box helps to stabilize the foot and allows for the heel to be a few inches taller. Since the thickness of the sole is what makes a platform a platform, the shoe can take on many styles. There are platform pumps, wedges, peep toes, boots and more, and depending on the materials and style of the shoe, the platform can work in every season. Pay attention to the material of the sole. Since a platform has a large sole, the material that it's made out of matters. It all depends on your own preferences, but a platform with a cork or rubber sole will generally be lighter and easier to walk in, while a wooden sole will feel clunky, heavy and be more difficult to walk in.